When my friend Alisha came to visit last week, we went a little crafting crazy. 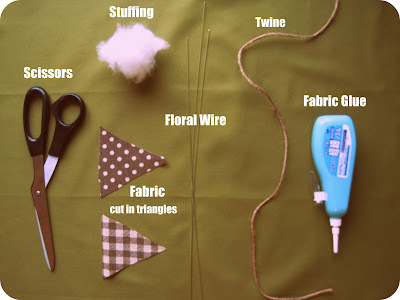 We had a long list of crafts we wanted to try and a small amount of time to try them in. 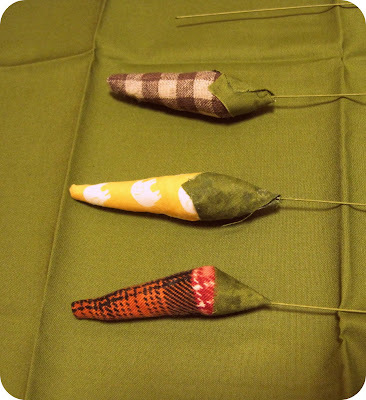 Still to make are some super-cute fabric acorns and a journal cover. But this is one of the projects we actually finished! 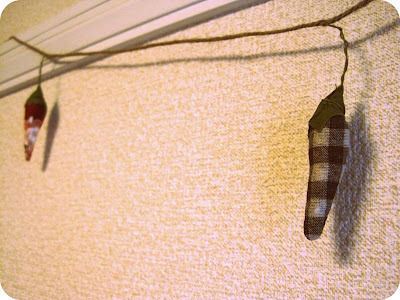 I always see adorable little garlands hanging up in shops and craft stores here in Japan. The problem is they're usually pretty expensive. 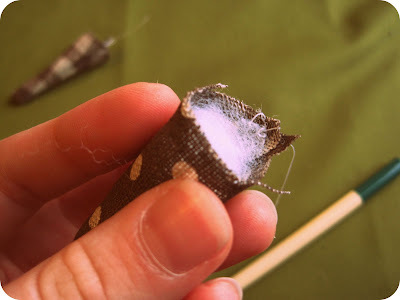 If you dont want to cough up the do-ray-me to buy one, here are some instructions on how to make your own! 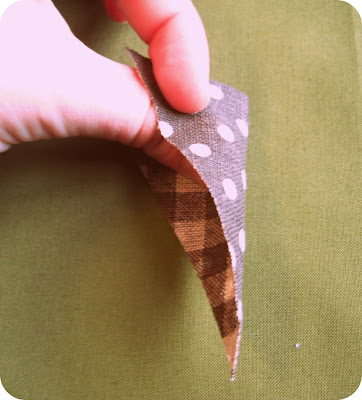 This is the perfect project to use up scrap pieces of fabric you have laying around. They're quick to whip up and would be a perfect gift too! 1. Fold your fabric triangle right sides together. This will be the base of your chili pepper. 2. Sew shut along open edge. 3. 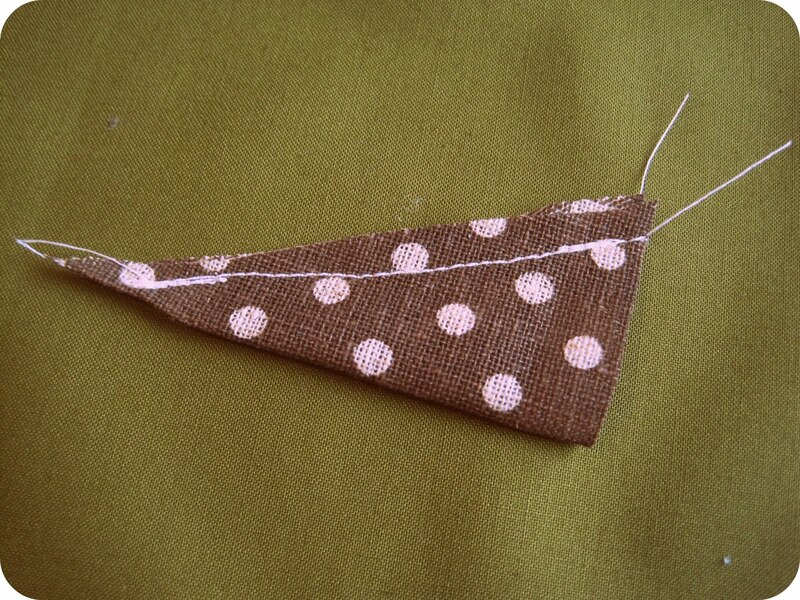 Turn the triangle right side out. Use a pointy object for the bottom. I used some chopsticks which worked splendidly. 4. Fill with stuffing. 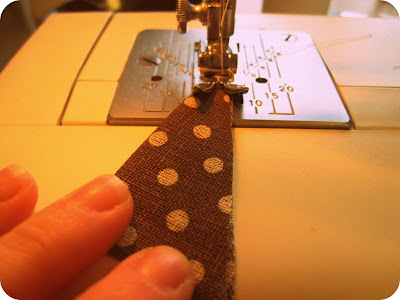 Be careful not to overstuff it, you won't be sewing the top closed and want the top to stay glued on easily. 5. 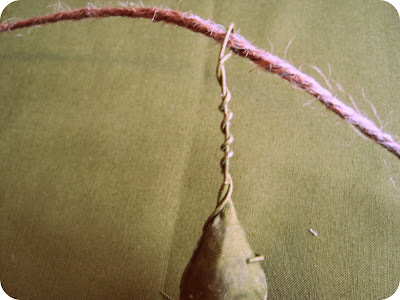 Cut a piece of floral wire 5 inches long. 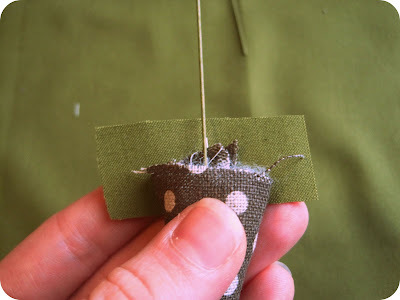 Stick it into the stuffing to the bottom of your pepper, be careful not to poke through the fabric. 6. Test out the size of your top by placing it behind your pepper and wrapping it around. 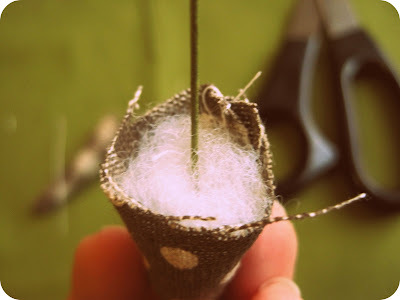 Make sure it fits all the way around, covering the stuffing and wire. If it's too long, trim it and try again. 7. 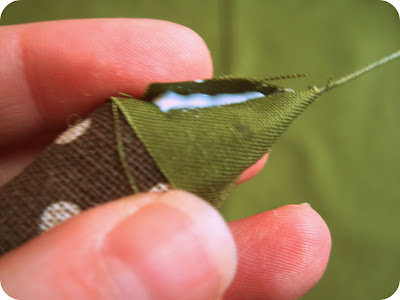 Place fabric glue on the piece of green fabric. 8. Wrap it around the pepper, securing it withe more glue on the edge. I also added more glue up by the wire for extra stability. 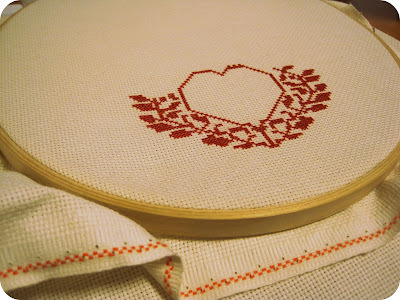 This is the hardest part about this project, it might take a couple tries, but don't get discouraged! 9. 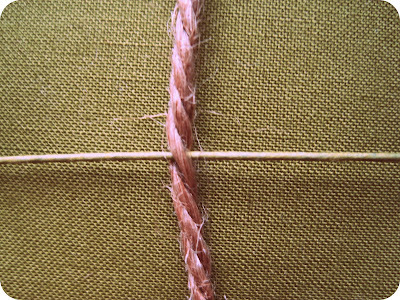 Take your piece of twine and untwist it just enough so the pieces separate. 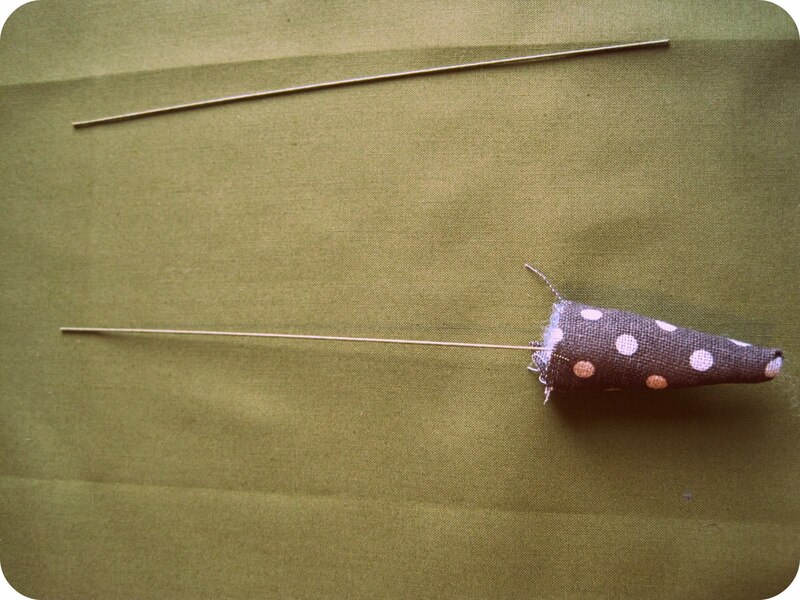 Put the floral wire through this hole and fold in half. 10. Twist it around itself and then the pepper. Attach each pepper about3 inches apart (or your desired width). 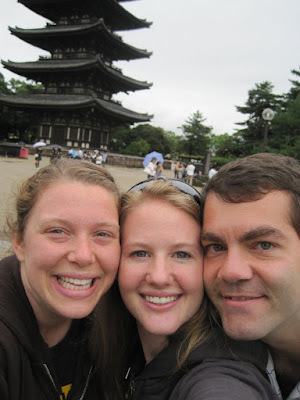 I can't begin to describe how wonderful it was to have Alisha visit Japan. It was just that, wonderful! 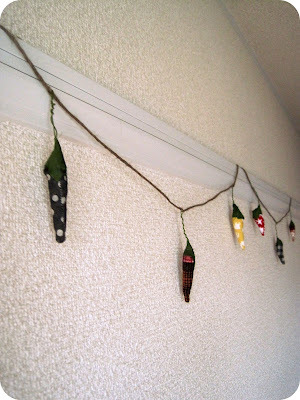 We ended up only having time to make the garlands and attempt the book cover. Between traveling to Kyoto, Osaka, Nara and Oyama we were pretty busy. We did manage to squeeze in a couple trips to the fabric store while she was here. We both scored some cute, very Japanese, fabrics. 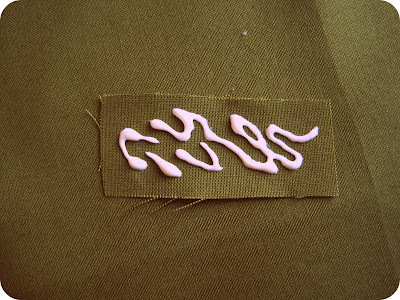 I'll post pictures of the said fabric soon. 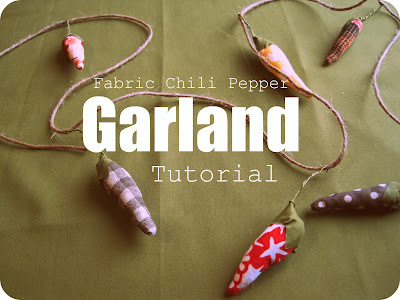 Tutorial coming soon for the garland! She's calling the project, "Knit, Pray, Love". While you're knitting, she's asking that you pray for the child (and parents) that your hat/booties/blanket is for. I'm excited to get started on some hats and even attempt some booties! And if you belong to Ravelery, Katie started a group here for people participating in the project. 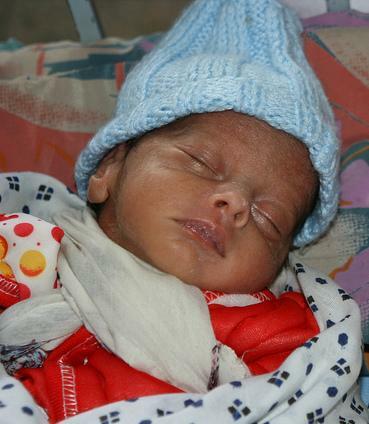 "We have a need: Chilly newborn babies. We have a secret weapon: You. 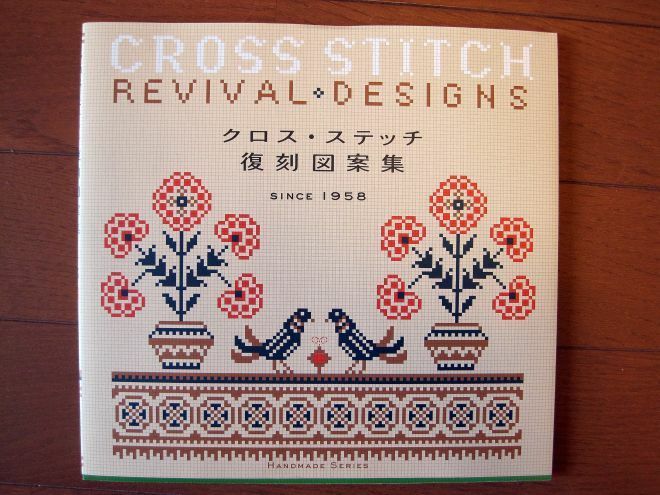 If you can knit. " My friend Alisha is coming tomorrow! I can't believe that the time is already here! Alisha and I were roommates back when I lived in Los Angeles, good times. She is one of the friendliest, sweetest, kindest and generous people I know...and I get to see her sweet face tomorrow!! Celebrating Alisha's bday last year at Disneyland! We will be heading to Kyoto, Osaka, and Nara for 3 days then coming back up here to Oyama. Thankfully, Ryan and I were both able to snag a couple days off of work to hang out with her while she's here. Let the fun begin! In other, way less important news, I've given my blog a little makeover. Blogger has a bunch of new templates that don't require you editing the html directly, so I thought I'd give it a whirl. Hope it's still easy to navigate! I received this handy, old-school, Japanese cookbook from a family friend before I came over to Japan. 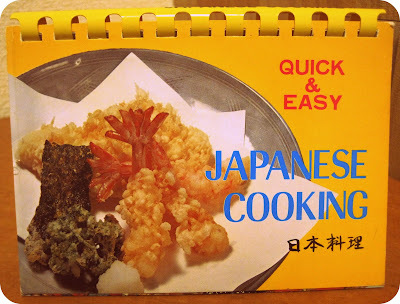 She had lived here in the 70's (I think...) and this cookbook came out in 1971. I love it. This is a super-quick stovetop meal. I do all my cooking on the stovetop because I have no oven. Needless to say I can't wait until I have an oven again (casserole, anyone?). 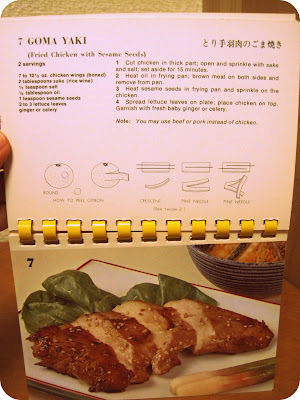 Make a few cuts into the chicken and sprinkle with sake and salt; set aside. Heat oil in pan; brown meat on both sides and remove from pan. Heat sesame seeds in a pan and sprinkle on top of the chicken. Garnish with fresh baby ginger or celery. The recipe says you can use beef or pork instead of chicken, I'm sure either of those would be delish too! 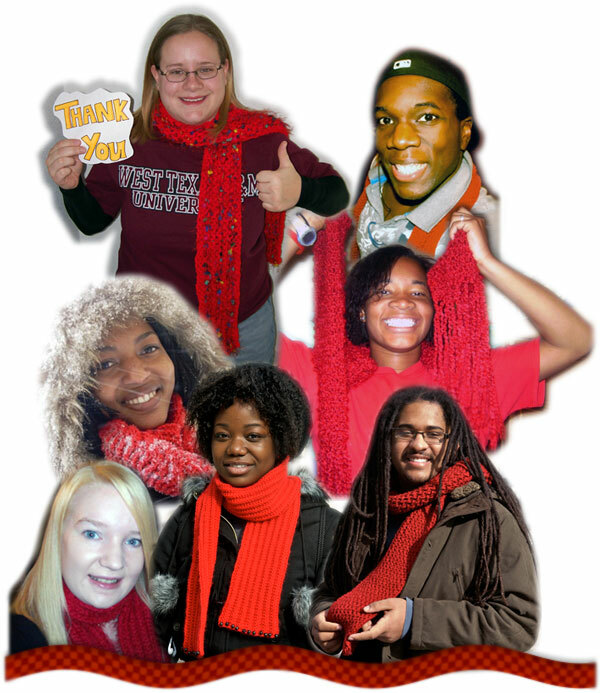 The Orphan Foundation of America collects red scarves every year for OFA students enrolled in college or trade schools. If you knit or crochet this is a great opportunity to send encouragement to some great students! They are currently accepting scarves for the 2010 year until Dec. 15. Send yours in today! 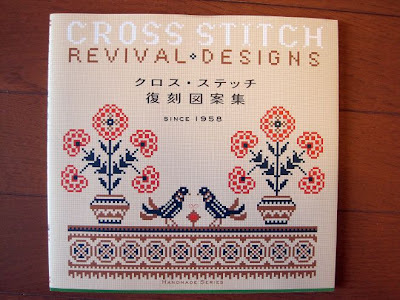 Remember this craft book I bought a while back? I started to work on something but didn't get very far. Then I forgot about it until a couple of weeks ago. Oops. 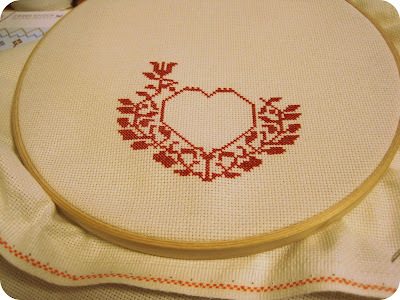 To be honest, I wasn't the biggest of fans of cross stitch at first. But the more I worked on it, the more addicting it became. 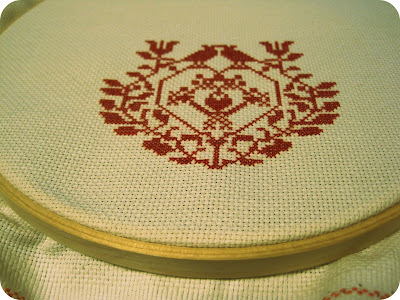 Once I reached this point: That's when I started finding cross stitch relaxing and exciting even? There's something about a bunch of small stitches coming together to form a picture. It almost felt like a puzzle. And I like puzzles. I used to do big puzzles when I was a kid and then glue them together. Yeah, I was that cool. Anyway, back to cross stitch. It's great to do in the in-between times of the day. Especially when I get home from work and just want to unwind. 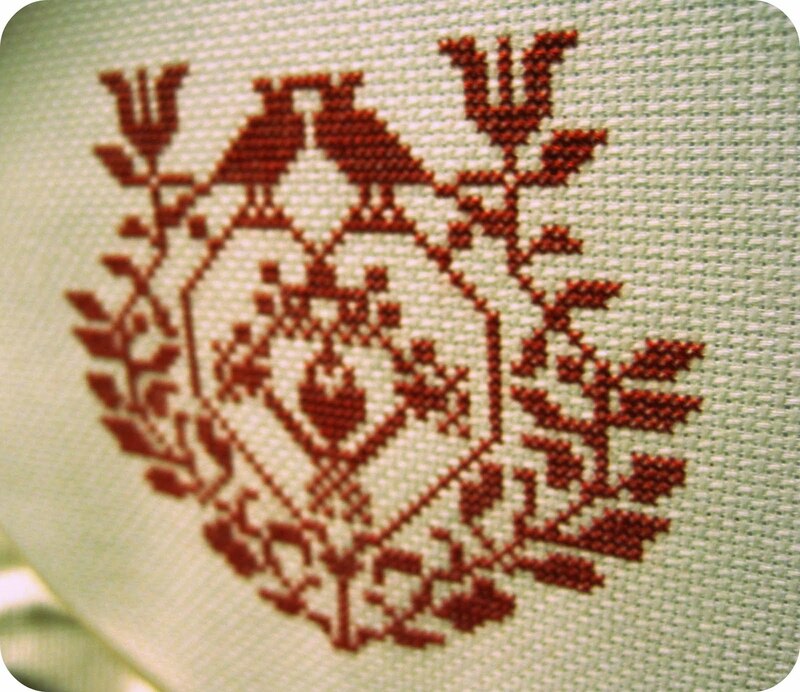 I get the same feeling cross stitching as I do when I knit. It's something that doesn't take much thought. You can do it while you listen to music, podcasts or watching TV. 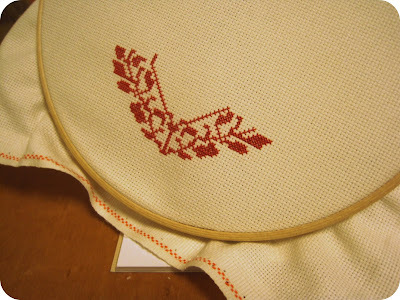 You don't see much cross stitch these days. 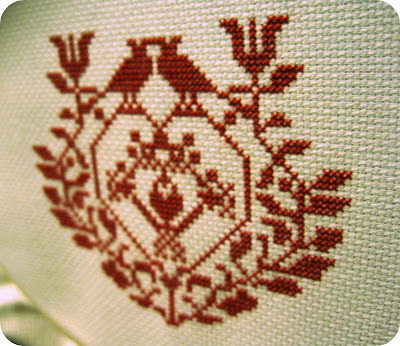 Or maybe I just don't see much cross stitch. I want to see more of it in my future. Perhaps a larger project next time with a wider color palate. 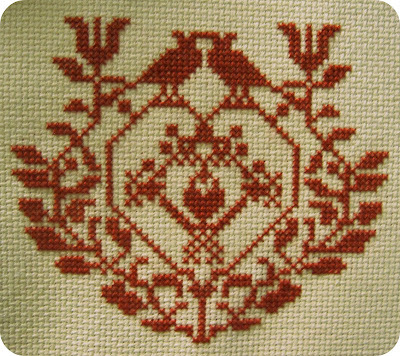 My first, finished cross stitch project of my adult life. Woo hoooo, I'm done! I finally picked up my finished pieces from Mashiko this past weekend. I took a pottery class (in Japanese and didn't catch much of anything...) there in mid-June and was waiting for them to be fired. They were ready in August...but I didn't have time to pick them up until now. I made three pieces: 1 bowl and 2 cups. You can clearly see that my throwing technique is elementary (notice the huge divet in the bottom of my bowl and mug on the left). Regardless, I had a blast making them and when I get back to the states I plan on signing up for a class where I can understand what's happening. I think my favorite piece is the bowl. 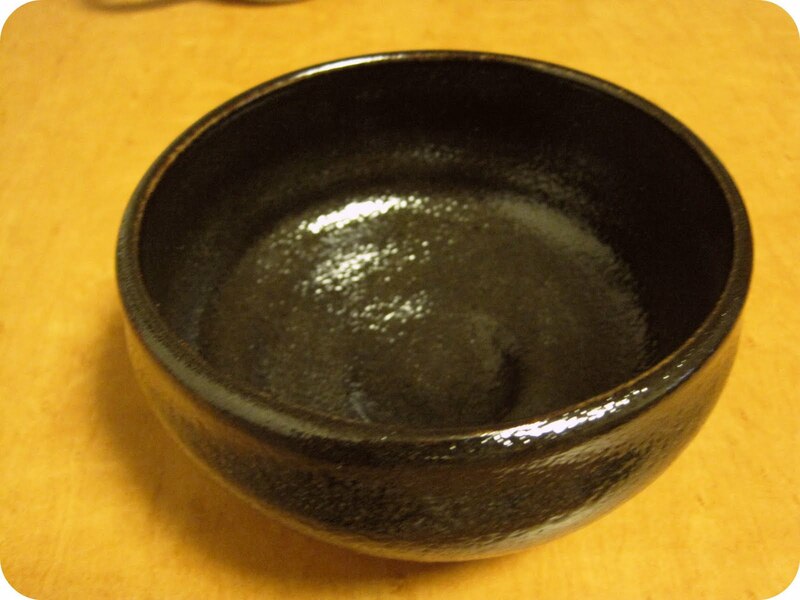 I love the dark glaze and the size. I'm excited to use it for something! I think it'd be especially cute even filled with water and a few floating candles. 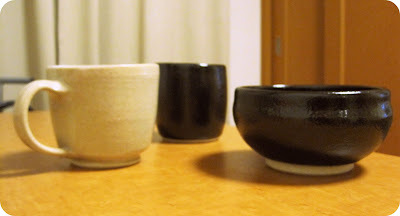 After we picked up these little gems, Ryan wanted to try his hand at painting his own pottery. He picked out a mug to paint and I chose a medium-sized plate. It was super duper fun! Let's be honest, Ryan isn't the most crafy guy in the world. But his mug turned out pretty awesome, I was pretty darn impressed! Well, that's all for now folks. Hope you're enjoying your weekend! Ryan's coming back from work in about an hour and then he's taking me out on a hot date. :) I should probably go change out of my pajamas. Last Friday Ryan and I decided to hop over to the Ameyoko Market in Ueno. After going to tons of awesome, cheap-o markets in China it was a bit of a shock seeing secondhand clothes sold for 2,000 yen ($20US). Regardless of the pricey goods, it was still pretty interesting. After the market, we stopped by a local museum where they had a tour guide that spoke English. Score! 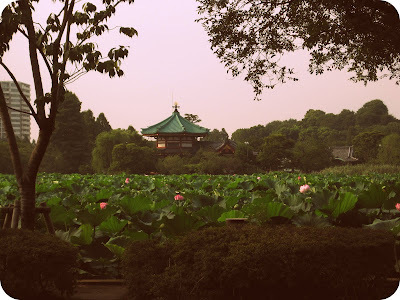 Right outside of the museum was this pond, completely covered with giant lilly pads. 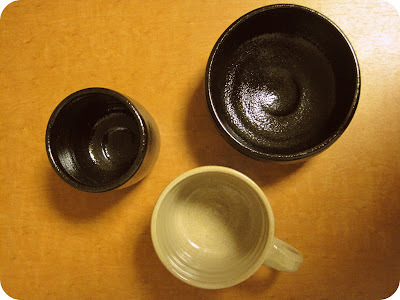 Tomorrow we're heading back to Mashiko to pick up my finished pottery, woo hoo!